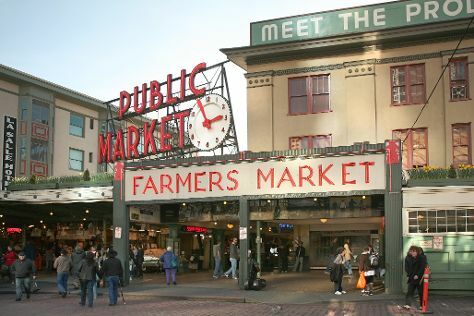 Kick off your visit on the 1st (Tue): take a stroll through Pike Place Market, admire the masterpieces at Chihuly Garden and Glass, and then take in panoramic vistas at Space Needle. To see reviews, ratings, photos, and other tourist information, you can read our Seattle road trip website . Vancouver, Canada to Seattle is an approximately 3-hour car ride. You can also fly; or take a bus. In January in Seattle, expect temperatures between 10°C during the day and 3°C at night. Wrap up your sightseeing on the 1st (Tue) early enough to travel to Springfield. Springfield is a city in Lane County, Oregon, United States. 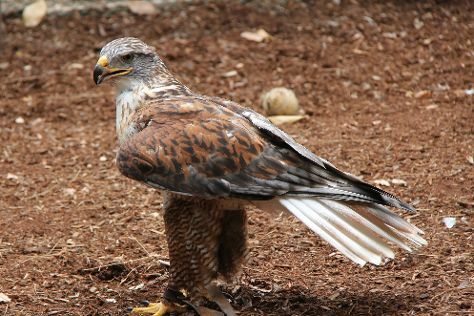 Start off your visit on the 2nd (Wed): hike along Dorris Ranch, grab your bike and head to Delta Ponds City Park, and then look for all kinds of wild species at Cascades Raptor Center. For where to stay, maps, traveler tips, and more tourist information, read Springfield trip itinerary planning site . Explore your travel options from Seattle to Springfield with the Route module. January in Springfield sees daily highs of 9°C and lows of 1°C at night. Finish up your sightseeing early on the 2nd (Wed) so you can travel to Roseburg. Roseburg is a city in the U.S. On the 3rd (Thu), take an in-depth tour of Douglas County Museum of History & Natural History, then do a tasting at HillCrest Winery and Distillery, and then look for all kinds of wild species at Wildlife Safari. Get ready for a full day of sightseeing on the next day: take in the dramatic scenery at Clearwater Falls, learn about winemaking at Becker Vineyard, then learn about winemaking at Reustle Prayer Rock Vineyards, and finally learn about winemaking at Cooper Ridge Vineyards. To find reviews, ratings, traveler tips, and more tourist information, read our Roseburg trip itinerary builder . Traveling by car from Springfield to Roseburg takes 1.5 hours. In January, plan for daily highs up to 11°C, and evening lows to 3°C. Wrap up your sightseeing on the 4th (Fri) to allow time to travel to Brookings. Brookings is a city in Curry County, Oregon, United States. Start off your visit on the 5th (Sat): stroll through Myers Creek Beach and then admire the majestic nature at Alfred A Loeb State Park. 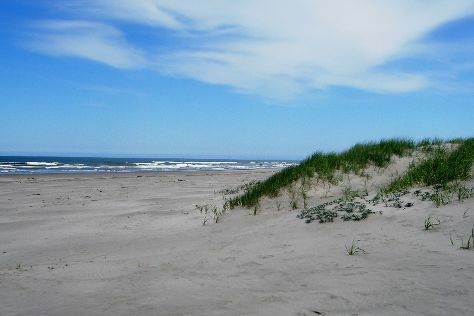 Here are some ideas for day two: enjoy the sand and surf at Lone Ranch Beach and then immerse yourself in nature at McVay Rock State Recreation Site. To see where to stay, reviews, more things to do, and tourist information, refer to the Brookings online travel planner . Getting from Roseburg to Brookings by car takes about 3.5 hours. In January, daily temperatures in Brookings can reach 14°C, while at night they dip to 5°C. Wrap up your sightseeing on the 6th (Sun) to allow time to travel to Bandon. Bandon is a city in Coos County, Oregon, United States, on the south side of the mouth of the Coquille River. Kick off your visit on the 7th (Mon): take in the exciting artwork at Art by the Sea Gallery and Studio, immerse yourself in nature at Face Rock State Scenic Viewpoint, and then kick back and relax at Coquille Point. To find ratings, traveler tips, maps, and tourist information, refer to the Bandon day trip site . Traveling by car from Brookings to Bandon takes 2 hours. In January, daytime highs in Bandon are 15°C, while nighttime lows are 5°C. Wrap up your sightseeing on the 7th (Mon) early enough to drive to Florence. Florence is a coastal city in Lane County, in the U.S. Start off your visit on the 8th (Tue): tour the pleasant surroundings at Cape Perpetua Visitor Center - Siuslaw National Forest, enjoy the sand and surf at Heceta Beach, and then shop like a local with Backstreet Gallery. To see maps, ratings, and more tourist information, read our Florence trip itinerary planning tool . You can drive from Bandon to Florence in 2 hours. Another option is to take a bus. In January, daily temperatures in Florence can reach 15°C, while at night they dip to 5°C. Wrap up your sightseeing on the 8th (Tue) early enough to drive to Lincoln City. Lincoln City is a city in Lincoln County, Oregon, United States. Kick off your visit on the 9th (Wed): enjoy the sand and surf at Taft Bay, then look for all kinds of wild species at Yaquina Head Outstanding Natural Area, and then view the masterpieces at Lincoln City Glass Center. Here are some ideas for day two: immerse yourself in nature at Fogarty Creek State Recreation Area, then enjoy the sand and surf at Nye Beach, and then take in the exciting artwork at Alderhouse Glass Blowers. To see maps, traveler tips, other places to visit, and other tourist information, you can read our Lincoln City attractions website . You can drive from Florence to Lincoln City in 2 hours. Another option is to take a bus. In January, daily temperatures in Lincoln City can reach 12°C, while at night they dip to 5°C. Cap off your sightseeing on the 10th (Thu) early enough to travel to Long Beach. Long Beach is a city in Pacific County, Washington, United States. Start off your visit on the 11th (Fri): tour the pleasant surroundings at Long Beach and then cruise along Long Beach. Here are some ideas for day two: admire all the interesting features of Astoria Column, then tour the pleasant surroundings at Cannon Beach, and then see the interesting displays at Seaside Inverted Experience. To find maps, reviews, ratings, and tourist information, use the Long Beach trip maker app . Traveling by car from Lincoln City to Long Beach takes 3 hours. Expect a daytime high around 11°C in January, and nighttime lows around 3°C. 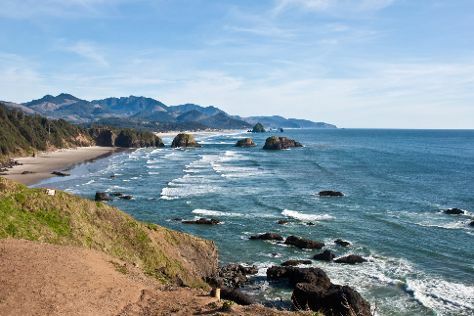 Wrap up your sightseeing on the 12th (Sat) to allow time to travel to Cannon Beach. Cannon Beach is a city in Clatsop County, Oregon, United States. Kick off your visit on the 13th (Sun): kick back and relax at Cannon Beach, view the masterpieces at Icefire Glassworks, and then see the interesting displays at Seaside Inverted Experience. On your second day here, kick back and relax at Hug Point State Recreation Site and then admire the majestic nature at Ecola State Park. To find maps, more things to do, photos, and other tourist information, read Cannon Beach holiday maker tool . Traveling by car from Long Beach to Cannon Beach takes 1.5 hours. In January in Cannon Beach, expect temperatures between 11°C during the day and 3°C at night. Wrap up your sightseeing on the 14th (Mon) to allow time to drive to Portland. On the 15th (Tue), steep yourself in history at Pittock Mansion, then look for all kinds of wild species at Oaks Bottom Wildlife Refuge, then take a peaceful walk through The Grotto - National Sanctuary of Our Sorrowful Mother, and finally take in nature's colorful creations at Lan Su Chinese Garden. To find photos, other places to visit, maps, and other tourist information, use the Portland travel planner . Traveling by car from Cannon Beach to Portland takes 2 hours. Alternatively, you can take a bus. In January, daytime highs in Portland are 9°C, while nighttime lows are 1°C. Finish your sightseeing early on the 15th (Tue) to allow enough time to travel back home.